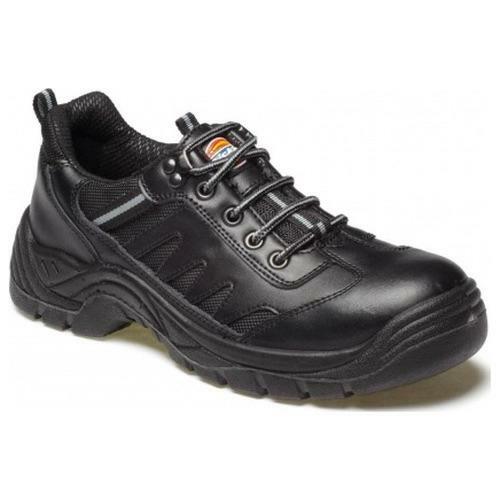 Dickies FA13335 Stockton Super Safety Trainers combine top quality protection without compromising comfort. The numerous features include steel toe-caps and midsole plates for maximum protection whilst the soles resist petrol, oil, alkalis and some acids. The upper is a combination of both leather & mesh giving a lightweight, breathable safety trainer that you'll be comfortable in throughout a long working day.